As my readers know, I like to compare deals from time to time. The last time I did so, I found that, overall, Walmart was the best bet for the lowest prices on the items I typically buy. It is not an straightforward process, though. Each store carries different brands, the store brand is not always available for every item, the unit price varies as sometimes it is listed as price per pound ( @Costco ) and other times as price per oz. ( @Walmart ). Also, while Walmart is great about publishing their prices online (and if you have their grocery app installed, it’s really easy to pull up prices), the other stores are not as forthcoming. Some of the items I tried to find online, told me to come into the store for the price (this was the case, for example, with a gallon of milk). Then, there is the matter of the membership fees for #BJ’s and #Costco. These vary, but ours cost us about $40 a piece. Short of hiring a calculus professor to run the comparisons, I’ve come to the conclusion that I just have to do the best I can, carefully sharing the details about each item. In each case, I tried to find the least expensive product for each category at each store. Here is what I found today, January 7, 2013. Walmart is my go to store. Let’s face it, for items such as cake mixes, bread, popcorn, a roll of parchment paper, and special ingredients for your meals (my meal plan for this week called for dried mushrooms, a jar of salsa, herbs, and a small bag of frozen peas), who wants to buy in bulk and blow their budgeted allowance? In fact, some items, such as herbs, I could not even find at the club stores. 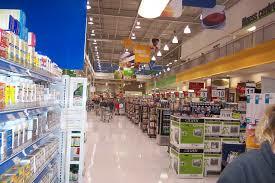 If you are a person who only wants to shop at one store per week, my recommendation is Walmart. It is known for great value and, with their grocery app, you can even shop from the app and arrange pick up – you don’t need to get out of the car! On the other hand, if you have the time and the inclination to #shop around, you might be better off picking up some items at the club stores. See below to get an idea of how the stores stack up. Be careful, though. When you go into those stores, it is very easy to to walk out with $150 – $200 in groceries, but, when you get home, you realize you don’t have the specific things you need for the week. This is because with such large amounts of each item, you may be paying less per unit, but you spend more than you planned because each bulk item costs a lot of money! In the end, we found that relying just on the club stores was actually blowing our budget and we were walking out with a haul that could not get us through our meals for the week. Nonetheless, if you have time on your hands to shop around, the club stores do offer some lower prices and may pay off – IF YOU ARE STRATEGIC AND PLAN YOUR MEALS! One Gallon Whole Milk: BJ’s and Costco tied this one. Shredded Skim Mozerella Cheese: Costco won this one. Walmart – $13.97 for a 5 lb. bag -Granted 5 lbs is a big bag, but mozerella is one of the best cheeses for freezing. Just separate into smaller portions and place in a ziplock bag (be sure to release all the excess air), and pop into the freezer! All in all, based on the items we looked at, BJ’s is the store for us to get our produce at. The package sizes were more practical than at Costco, and the prices seemed to be the best. Herbs – If you need fresh herbs, such as mint, sage, basil, and the like, Walmart is the place to go. The club stores do not seem to carry these, perhaps because people buy them in such small quantities. Organic Spring Mix Salad: BJ’s and Costco again tied for first place. BJ’s – $3.99 for 16 oz. Costco – $3.99 for 16 oz. Walmart – .31 cents per oz, $4.96 ( #rollback from $5.08 ) for 16 oz. English Cucumbers: The clear winner on this was Costco- 3 cucumbers for $2.99. Organic Bananas: BJ’s took the cake here. At .47 cents a pound, they were .19 cents less per pound. For this shop, we just looked at chicken thighs and pork loin. The overall winner, at least for the two items we priced, was Costco, with the caveat that you have to buy more than you can use in one week to get the deal. While we plan to revisit Costco and BJ’s to check a few other items (ground turkey, ground beef, steak), for now it appears that Costco is the best deal for meat if you are #buying in #bulk. Boneless Skinless Chicken Thighs: If you can buy the large package, per pound Costco was the best deal, however, the caveat is that if you are trying to stay within a weekly budget because of cash flow issues, you may be better off at Walmart. Pork Loin: This is an item that is fairly easy to buy in bulk as you can simply slice it in thirds and freeze each package. If you can manage the large package, Costco has the goods when it comes to pork loin. I have four take-aways from my day of comparison shopping. First, no one store has every item on your list at the lowest. We found that each store has some great buys on some things, and not so great buys on others. Unless you want to run all over town (I do not), then, for your regular weekly grocery shop, find the store where you feel that most items are offered at the best price or, as is my plan, plan wisely and consider two stores – I will continue my weekly grocery shop at Walmart with their amazingly convenient app, and I will make one trip, on occasion, to either BJ’s or Costco, depending upon my needs. Secondly, if you are true to planning your meals (a major key to saving money), and you know what your grocery list, it may make sense to buy things like produce from a club store and use your go-to store for the rest of your items. However, do not fall into the trap that my family was guilty of — that is, buying so much in bulk, that we were blowing our budget without ever really having the right ingredients in the house to make a week’s worth of meals. Additionally, I may use the club stores on a limited basis to round out my groceries with some bulk items, such as paper towels, meat that can be portioned out and frozen, and Keurig coffee pods. My plan is to assess my budget three weeks into the month, and, based upon my grocery expenses to date, I will set aside available funds for the bulk item buy. Our family budget is no more than $550 a month TOPS. That’s $137 a week. So, if after three weeks of #grocery shops, I find that we are under $400, we will do a bulk shop using only the funds available in the monthly budget. If, on the other hand, we are over $400, we simply will not buy a stockpile of freezer meat. Thirdly, you must plan your meals and stick to your plan. Period. Try to shoot for at least a week’s plan of meals, but if you can do two or three weeks, so much the better. Do not fall into the trap of buying extraneous items that simply blow your budget. Make a plan and stick to it. Finally, it does pay to do a bit of research and comparison shop, particularly if you have the time to frequent more than one store. For example, this week, because of what we learned, I bought several of the items on my list from BJ’s while I was there: milk, English cucumbers, salad mix, onions, and bananas. This allowed me to shave a few dollars off my weekly expense. Hey, every bit helps!